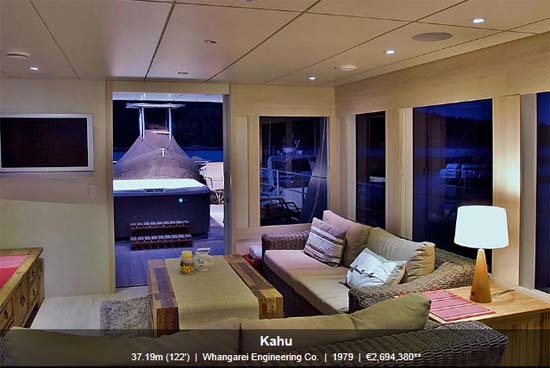 122 WHANGAREI EXPEDITION YACHT "KAHU"
Kahu is a 37.19m (122') Luxury yacht built by Whangarei Engineering Co. in 1979. 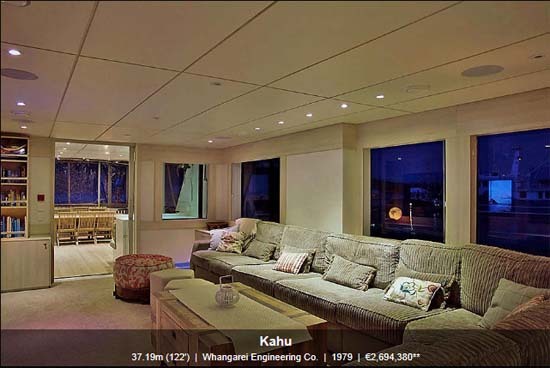 With interior stylings by Robin Rose and ABS compliant, she accommodates 12 guests in a master, 3 double and 1 quadruple cabin(s). 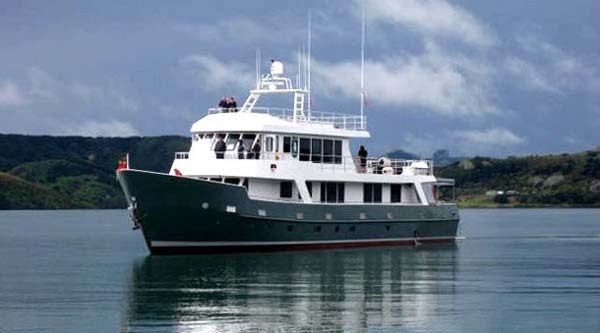 Powered by Cummins engines she has a cruising speed of 7.3 knots and can get to a top speed of 13 knots.